Inspired by the beloved children’s story, The Amazing Adventures of Pinocchio is at the venue on Sunday, March 17 (2.30pm and 5.30pm). Tickets cost £12-£15. Family tickets (two adults, two children) cost £52. Call the box office on 01342 302000. 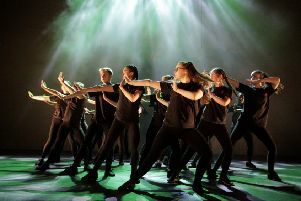 Immersion Theatre performed their version of The Jungle Book in April 2018 to a sell-out success and are looking forward to returning to Chequer Mead. The new production is written and directed by artistic director James Tobias and composed by Robert Gathercole. Musical merfolk and menacing monsters: The Boy and the Mermaid at The Capitol, Horsham. Click here to read more.